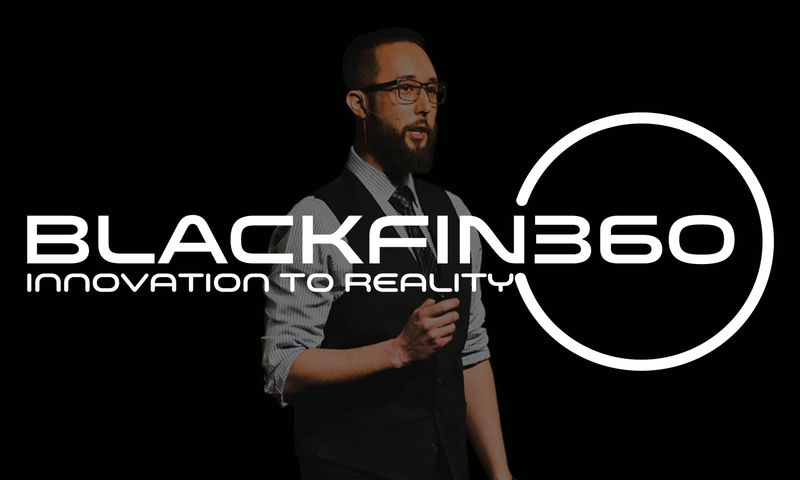 Tom “TheBlackFin” Edwards is the Chief Digital & Innovation Officer for global marketing leader Epsilon (NYSE: ADS) and keynote speaker through BlackFin360™. Tom is a futurist and dynamic speaker with a deep understanding of technical detail but translates to all audiences. Tom speaks regularly on the topics of artificial intelligence and the evolution of consumer experience through his platform Innovation To Reality. From the impact of Gen Z, the camera as the next marketing platform, the Pixar Theory and how it predicts AI adoption through spatial computing and the blurring of physical and digital. Tom can tailor the talk by industry and deliver a highly visual and thought-provoking journey. Tom is the Chief Digital & Innovation Officer for Epsilon where he leads strategy, data design, creative technology, and Innovation. Epsilon was recently ranked by Advertising Age as the #1 US Agency (All disciplines), #1 US Digital Agency Network and the #4 worlds largest digital agency network. For the past 19 years, Tom has focused on the intersection of emerging technology and its impact on consumer behavior and how to bring Innovation to Reality™. He was recognized in 2019 by OnCon as a Marketing Trailblazer and a Marketing Contributor for thought leadership. Tom was also recently named a 2017 Marketing Technology Trailblazer by Advertising Age. Many of the top brands in the world have recognized Tom. Apple calls Tom “bold and fearless”, Nintendo states “Tom has a level of expertise I’ve rarely seen in my career, Hulu called Tom “a leader in the digital realm”, Southwest Airlines states Tom “Is a forward thinker who pushes the convention”, c-Suite states Tom “Is insightful in what leaders need to know so they stay ahead of the competition”. A full list of awards, nominations, and recommendations are available via the awards & recommendations page. Tom lives with his wife Cherlyn, three kids Gavin, Audrey and Grant as well as their Maltipoo Daisy in Frisco, Texas. Tom regularly provides thought leadership and commentary on business and advertising in addition to speaking regularly as a futurist on the topics of data design, artificial intelligence and the evolution of consumer experience through intelligent systems. Prior to Epsilon, Tom was EVP, Digital Strategy and Innovation for Omnicom’s The Marketing Arm and SVP, Digital and Emerging Technology for Red Urban, part of DDB Worldwide. He also previously served as Chief Marketing Officer for cloud-based social solution provider INgage networks. Tom serves as a formal advisor & board member for multiple technology start-ups. To view recommendations from brands such as Twitter, GameStop, Microsoft, Hasbro, Dell, American Airlines, MSNBC & Electronic Arts. Please visit my Linkedin Profile. Epsilon is a global leader in data, marketing, and technology enablement. As the Chief Digital & Innovation Officer for Epsilon’s agency business, Tom is guiding Epsilon clients as a trusted advisor to meet the business needs of today while integrating innovative new technologies and partners to prepare for the next evolution of digital marketing. He leads various functions including strategy, data design (Artificial Intelligence, Machine Learning & Deep Learning, RPA), digital experience teams (Technology), and Innovation. Tom leads product development with successful products and solutions launched including productizing unstructured data analysis through machine learning, development of a proprietary AI predictive decisioning engine that democratizes access to data and insights as well as various multi-modal prototypes (voice, vision & touch). Tom also oversees digital thought leadership for Epsilon’s agency business and regularly publishes original content and provides media commentary for publications such as Mashable, CNBC, Digiday, Adweek, iMedia, International Business Times, ClickZ, Momentology, and much more. He regularly speaks on behalf of Epsilon at industry events and conferences. Recent speaking engagements include TEDx, MarTech, Path To Purchase Expo, Financial Brand Forum, Ad:Tech, Mobile World Congress (Barcelona), IIeX, Digital Banking Summit, C-Suite TV, Social Media Week, iMedia Breakthrough, Digital Hollywood, Mobile Marketing Summit, Ad Age Data & various MediaPost events. As Executive Vice President of Strategy & Innovation, Digital for The Marketing Arm (NYSE: OMC), I oversee, create, and execute digital strategy and programs for the agency’s clients while leading various strategy teams across the United States. * Provided industry POV’s, spoke & represented TMA digitally for media outlets & industry conferences as well as serving as a judge for industry award shows. Red Urban is a progressive Omnicom digital agency providing captivating digital solutions from conception through execution. We leverage the latest tactics that drive through to measurable results grounded in the client’s objectives. * Direct Sales ownership including the development of sales methodology and GTM strategy for a geographically distributed sales force targeting enterprise and public sector accounts. * Channel/Alliance – Own the programmatic build-out of our channel sales strategy including strategic and programmatic direct partner interaction and enablement. Telligent is a recognized leader in the enterprise social collaboration space that provides social software & analytics. Responsible for the managed services growth & marketing as well as client engagement strategy, planning and execution of the various Product, Services and Advertising Sales business units of Telligent Systems. Led interactive/social strategy engagements with our Enterprise client base. * Instrumental in growing strategic partnership with Microsoft including Managed Partner Status & alignment with various industry-specific sales organizations including High Tech Manufacturing, Consumer Packaged Goods, Automotive, Health Care & Chemical. Co-Founder & Partner in the creation of Smooth Fusion, Inc. Smooth Fusion specializes in web/mobile/social application development in support of agency (WPP, Interpublic, Omnicom) & client (Microsoft) initiatives. * Founder/Partner in the formation of Smooth Fusion, Inc.
Fullmoon Interactive was a full-service interactive agency and part of the eMarketplace network of internet properties. Clients included AOL, Dell, Citigroup, Gillette & American Express.